Car Football Game or Timeless Philosophical Allegory? So let’s get started. 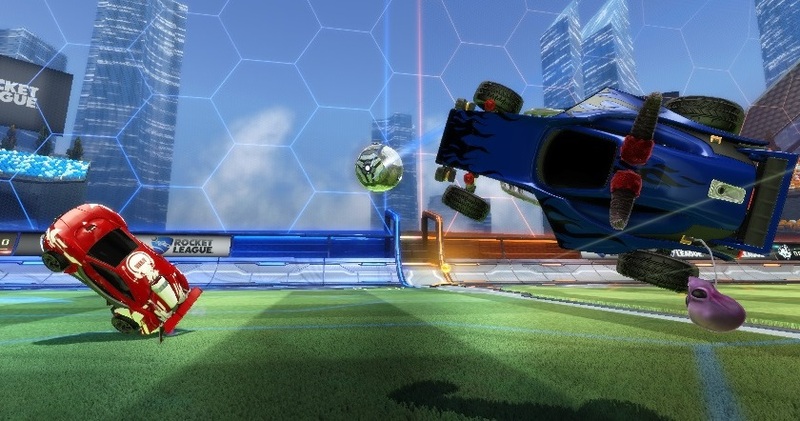 What can we learn from Rocket League? Sadly, you really don’t have to dig very deep to uncover this little nugget of truth. 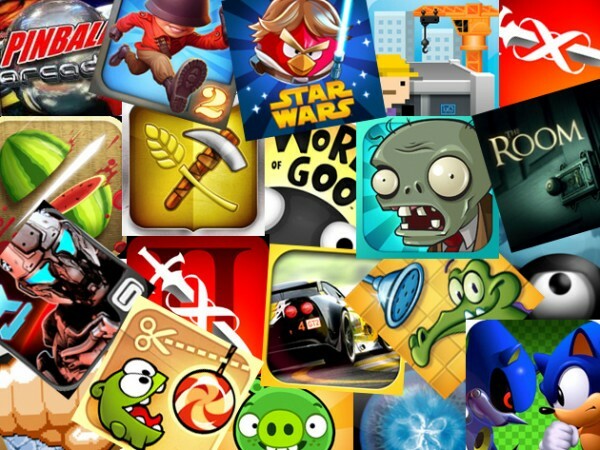 I’m not a newcomer to the world of online multiplayer gaming. In fact, I might even be in the “veteran” category, as depressing as it is to admit. Which is to say that I’ve seen some toxicity in my day. 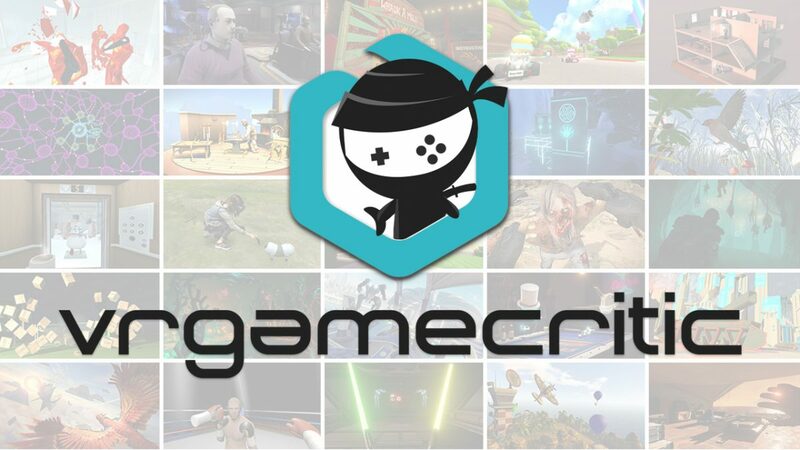 From the classic teenage insults that grace the Call of Duty world, to the oddly personal ‘drama’ of MMORPGs, online games truly provide a rich tapestry of douchebaggery. But nothing quite prepares you for the onslaught that you will inevitably face while playing Rocket League. It’s a real eye-opener. I couldn’t tell you the precise cause, but I suspect that, in the Rocket League multiplayer mode, we have the ideal mixing pot to conjure up a dreadful, hateful community. Firstly, winning and losing matches shifts you up and down a competitive ranking system, so people really want to win. Secondly, the demographic seems to be largely teenage males – enough said on that one. And thirdly, much like the infamous keyboard-warriors’ battleground that is the YouTube comments section, players are protected by a degree of anonymity – you won’t see this guy walking down the street tomorrow, so why not insult his mother, who may or may not be overweight? I know! Not five minutes ago I was typing words to the opposite effect for lesson number 1. But life is full of contradictions and paradoxes, and so, too, is Rocket League. Yes, it’s true that missing an open goal will likely make you the target of a barrage of teenage frustration, but it might also pave the way for a display of genuine human kindness. You’ll numb yourself to the unimaginative, sometimes utterly nonsensical insults of the Rocket League riffraff to the point where they have literally no effect, but those moments of unconditional support from your teammates, purely out of the goodness of their hearts, will always make your day just a little bit brighter. It really is kind of nice when a complete stranger takes the time to type a compliment into the chat box, or offer words of support when you miss a shot the average 5 year-old could have scored. So thanks, Rocket League, for both destroying and restoring our faith in humanity. Ah yes, perhaps one of life’s most unfortunate truths; as intricate and well-founded as your strategies may be, chances are, something or someone will throw a wrench in there and ruin it all. There’s certainly something to be said for studying up on Rocket League positioning, formation, and ‘best practices’ to minimise your risk of conceding soft goals, but sadly – and I can’t stress this enough – you’ll never, ever be immune to the influence of ol’ Lady Luck. Picture this: you intercept your opponent’s attack, deftly whisking the ball from their possession, and blaze a trail up the wing. Spotting a team-mate sweeping up the middle of the pitch to your right, you neatly manoeuvre yourself around the ball, and chip it into the air towards him. Your opponents haven’t anticipated this lateral play; they’ve positioned themselves to defend a more conventional attack from the corner, and now sit floundering. Your team-mate launches himself into the air gracefully, and drills the ball towards the opposing goal. Alas, it clips the underside of the cross-bar and bounces hard off the line, back into the air. But there’s still hope; having positioned herself in midfield during the attack for support, your goal-keeper is perfectly placed to glide into the action and knock in the rebound. Sure enough, she soars over two dumbfounded defenders and taps the ball towards goal. It’s a thing of beauty. But what’s this? An opposing player has accidentally become stuck in his own goal. Oblivious to the activity on his own goal line, he flops back into play, directly into the path of your team-mate’s shot. He has no idea what’s hit him, and yet the ball ricochets away, straight towards your goal. You desperately front-flip and boost your way back, but to no avail; the ball limps its way across the line, and just like that, you’re 1-0 down. And so it is with Rocket League as it is with life; be ready for anything, no matter how well-prepared you might be. 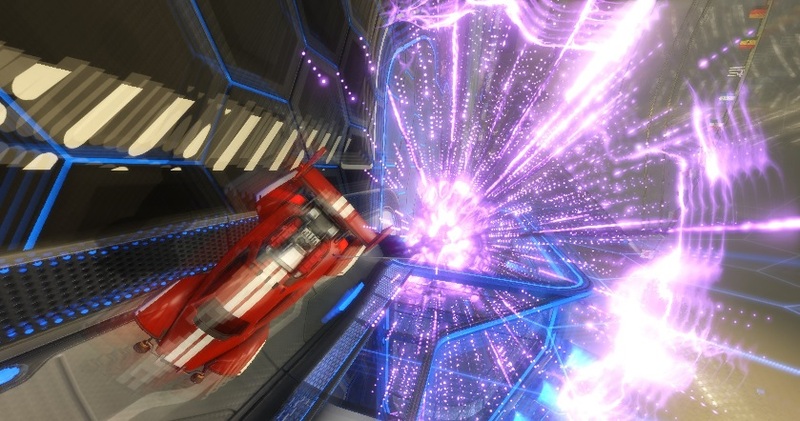 Rocket League demonstrates this one really nicely. During your first few online multiplayer games, it can be distinctly intimidating to sit across the field from some souped-up supercar, complete with mysterious, animated paintwork and sparkling, neon alloys. Clearly this is the handiwork of a pro. Only the best of the best can rock a style like this. Right? Probably not. First of all, the cars available in Rocket League, regardless of the bells and whistles applied, all have nearly identical stats. Hit boxes and turning circles differ very slightly between the vehicles, but nothing significant. Secondly, you can find many of the special, animated paint jobs and extravagant accessories in loot boxes. That is, if you decide to pay real money to open them. So that monstrosity staring you down from the opponents’ half is most likely just the result of blind luck and a lack of financial restraint. 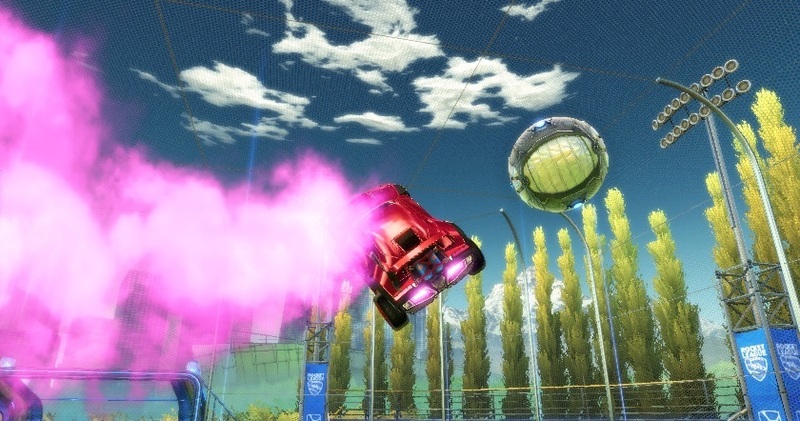 If you’re in a match with four pimp-mobiles and one unassuming default car with basic paintwork, it might well be the latter that turns out to be the savant genius soaring through the sky to score his 5th goal in two minutes. It’s like that grail in that Indiana Jones movie. Y’know, sort of. OK, Rocket League only demonstrates this one indirectly. Almost ironically, in fact. It perplexes me that Psyonix secured such a solid soundtrack and decided not to allow the player to enjoy it during a match. You’ll hear some very respectable electro house bangers on the title screen, but don’t expect them to enhance your actual gaming experience. It’s all roaring engines and screeching tires once you start the match. Not a jingle to be heard. Now I’m a sucker for a good soundtrack to back up an action-packed game. Ever play Star Fox on the SNES? Remember that first level, Corneria? That was something. The music was so incredibly intense, it genuinely took the whole experience to another level. 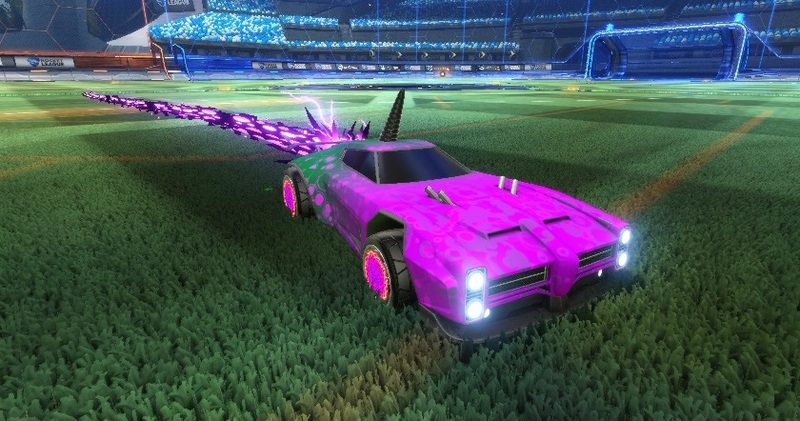 Rocket League really needs that. 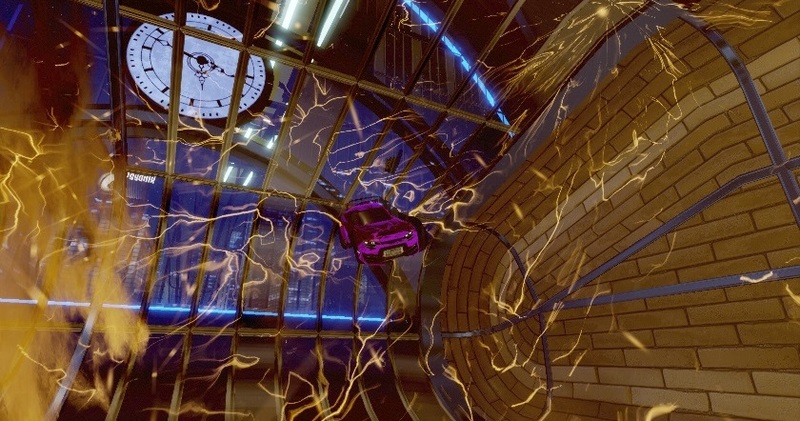 It has the potential to be a real adrenaline-fuelled rush, but without in-game music, the experience lacks something. It sometimes borders on mundane, which is shocking, considering the flashy visuals. So do yourself a favour; before your next match, open up Spotify, stick on some tunes, and crank up the volume. Because everything’s better with music. Fearing that his second favorite game of all time behind Super Metroid may in fact be Mount Your Friends, Adam plays all the games - just ALL the games - in search of a less embarrassing number two. So to speak. For occasional game and music-related tweets, follow @sbodnik.